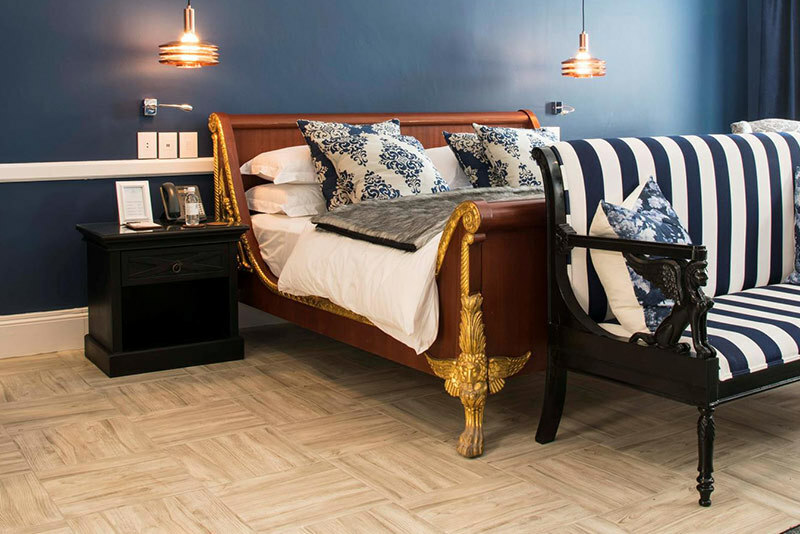 Johnson Tiles undertook an expansion and renovation project in partnership with Johannesburg’s exclusive Fairlawns Hotel. Tasked with updating the tiles in this 5-star boutique property’s public areas, as well as existing and newly constructed guest rooms. The Fairlawns is an independently owned boutique hotel, with each of its 41 luxury rooms decorated in completely unique styles. 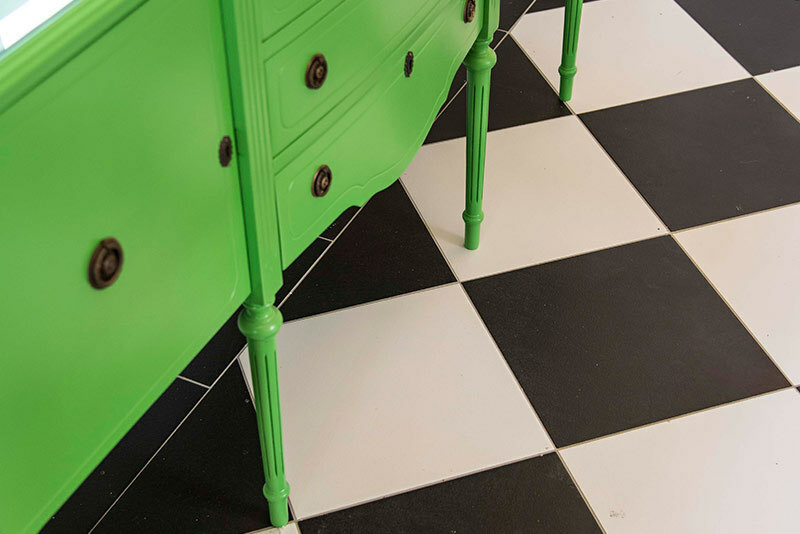 With names like Marrakech, Burkina Faso and the Maison de Ville, the property’s décor is an eclectic and worldly blend of vintage and modern – requiring stylish and hard-wearing tiles to match. 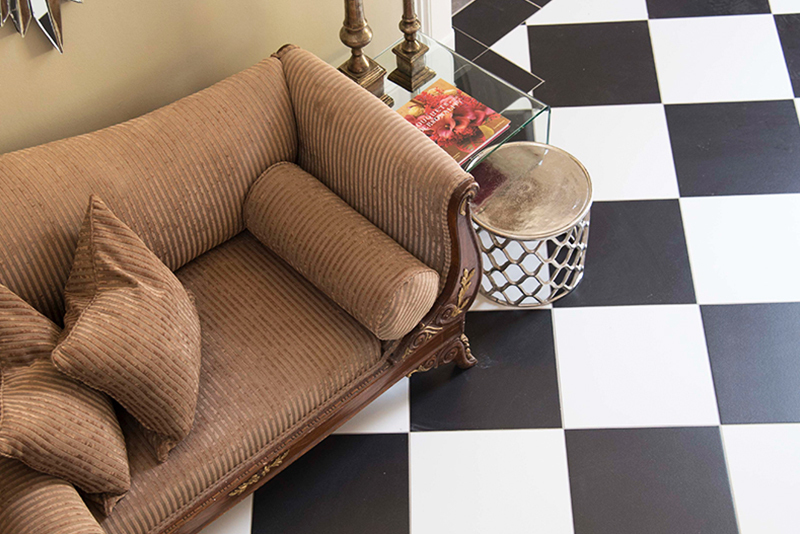 With hotel management having expressed an inclination towards a black-and-white checkerboard look in the hotel’s reception area, Johnson Tiles’ project experts set about selecting the perfect tiles for a classic look and hard-wearing durability. 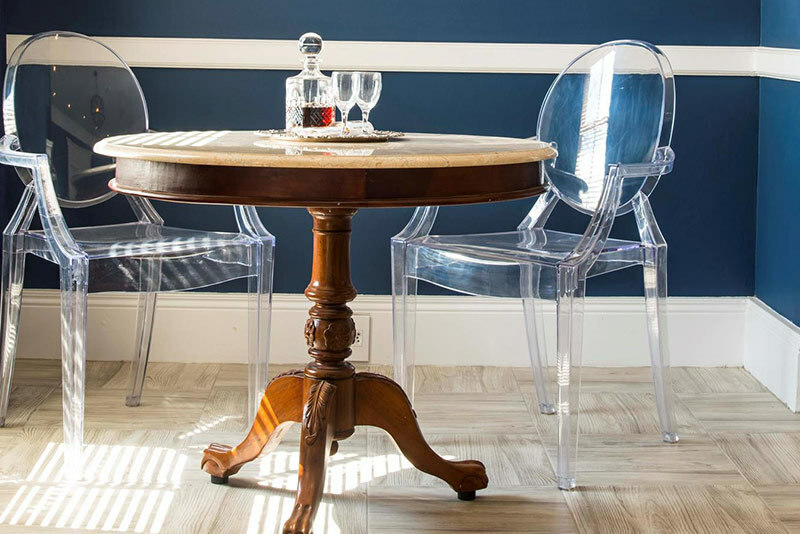 A matte porcelain tile was chosen for a look that is classical and striking, as well as tying together the varying décor themes present throughout the rest of the hotel. In the guestrooms, the uniqueness of each suite’s décor style required tiles that would complement a variety of different looks without detracting attention from the hand-picked furnishings and artworks. Tiles from our Nostalgia range were selected to go along with the Moroccan theme of the Marrakech suite, with their visually appealing middle-eastern pattern given a delicate subtlety in light shades of sand and bone. In other, more western and vintage-inspired rooms, our printed wood-look tiles were chosen to emulate the look of weathered wooden floors and antique parquetry, mixing the warmth of wood with the practicality of ceramic and porcelain tiles. 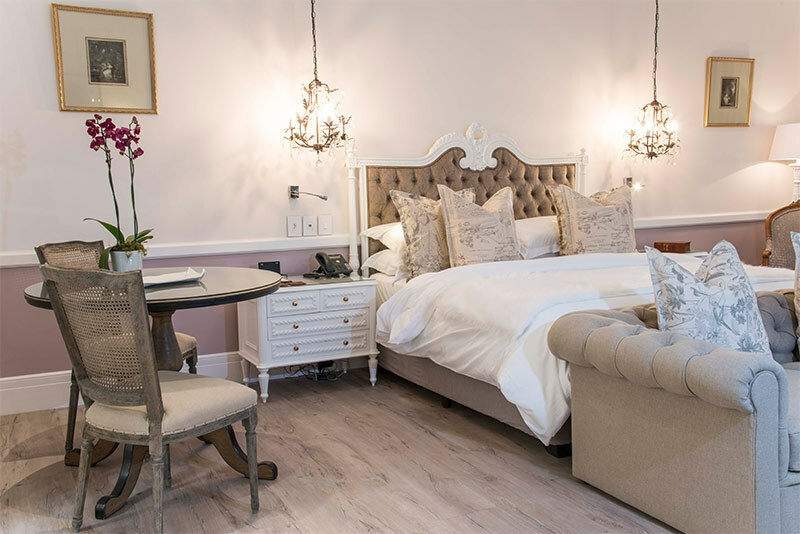 Each newly tiled guestroom at the Fairlawns Boutique Hotel is now equipped with premium tiles that perfectly suit guests’ luxurious surroundings and bring the uniqueness of the property’s décor to life. The tiles selected are not only on-trend and decoratively versatile, they were selected to handle the extreme day-to-day wear. They are not only beautiful, but slip-proof, easy to clean and scratch-resistant – the perfect solution to areas that deal with heavy foot traffic as well as trolleys loaded with heavy luggage and the frequent re-positioning of heavy furniture.